In June 2017, the U.S. Citizenship and Immigration Services (“USCIS”) updated its Policy Manual (available online) to confirm the requirement that EB-5 investments must be maintained at risk, in a requirement known as “redeployment”. For many investors, this new development has raised uncertainties and questions. We address the 8 most common questions about redeployment below. 1 What are the requirements of redeployment for investors? For Investors who have not yet received their CLPR status, the following requirements apply. a) If the EB-5 investment has not yet created the required 10 job positions, the funds must be redeployed into an actual business activity which is engaged in commerce, featuring a risk of loss and a chance for gain, and the invested funds must go into the Job Creating Entity (“JCE”) as named in the I-526 Petition by Alien Entrepreneur. The use of these funds must be consistent with the I-526 Business Plan. b) If the EB-5 investment has already created the required 10 job positions, the funds must be redeployed into actual business activity which is engaged in commerce, featuring a risk of loss and a chance for gain. The use of these funds must be consistent with the I-526 Business Plan. In this circumstance, there is no requirement that the funds go to the JCE as named in the Business Plan of the I-526 Petition. c) For Investors who have already received their CLPR status, redeployment requirements are more lenient. The redeployment may be made into an activity that was not contemplated in the original Business Plan of the I-526 Petition, as long as the Business Plan was filed in “good faith”. It must still be redeployed into actual business activity which is engaged in commerce, featuring a risk of loss and a chance for gain. In all of the above circumstances, such redeployment must take place “within a commercially reasonable period of time”. 2 When is redeployment required? 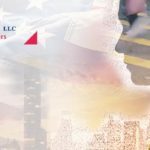 In many EB-5 projects, the EB-5 petitioner makes their investment into a New Commercial Enterprise (“NCE”), and the NCE then makes a business loan of these funds to a Job Creating Entity (“JCE”). The USCIS requires that the EB-5 investment funds be sustained at risk throughout the Investor’s CLPR status. Therefore, if the JCE plans to return the EB-5 funds to the NCE, for example because its loan terms become mature, the NCE must comply with redeployment rules in order to allow the EB-5 investors continued eligibility. 3 What if my I-526 is pending and the JCE repays the funds to the NCE? If an EB-5 investor’s I-526 is still pending and the JCE plans to return the EB-5 funds to the NCE, the NCE must redeploy the investor’s entire investment funds, within a commercially reasonable time, into another business activity engaged in commerce, with a risk of loss and a chance for gain. If the Investor’s investment has not yet created 10 jobs, this redeployment must also be made into the same JCE as named in the I-526 Petition. The use of the redeployment funds must be within a manner contemplated in the initial I-526. This requirement remains until the Investor receives his or her CLPR, whereupon USCIS relaxes this one requirement, and allows redeployment to be conducted in a manner not contemplated in the initial I-526. 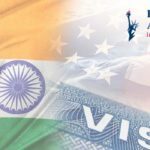 4 I have an approved I-526, but my country has a visa waiting list for the CLPR visa, and I am still waiting for a CLPR visa. How does redeployment affect me? The redeployment duty lasts until 2 years after you receive your CLPR visa. Therefore, if you are subject to a country waiting list, you must continue to fulfill your redeployment requirement while you are waiting for a CLPR visa. If you have not yet received your CLPR green card, and you have not yet created 10 jobs, then you must redeploy your funds into a business activity engaged in commerce, with a risk of loss and a chance for gain, and the funds must go into the JCE. The use of the funds must be consistent with the I-526 Business Plan. 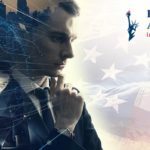 If you have not yet received your CLPR green card, and you have already created 10 jobs, then you must redeploy your funds into a business activity engaged in commerce, with a risk of loss and a chance for gain. The use of the funds must be consistent with the I-526 business plan, but it does not need to go to the JCE. 5 Will I be asked about redeployment at the consular interview, AOS interview, or I-829 interview? Yes. 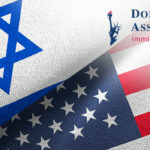 The USCIS and U.S. Department of State (“DOS”) will ask the Investor questions about their investment to determine eligibility for the EB-5 immigrant visa, and that includes details of the redeployment of their investment to comply with USCIS regulations. Inside of the U.S., the USCIS administers the interviews for Adjustment of Status (“AOS”) and I-829 Removal of Conditions. Outside of the U.S., the DOS administers the consular processing interviews for issuing visas. 6 What materials should I bring to my interview? Before their interview, Investors should work with their legal counsel and regional center representatives to obtain the relevant commercial and financial documents. This can include: bank account records for the NCE, financial summaries issued by the regional center, loan records detailing the issuance of funds between the NCE and JCE, and documentation of redeployment of the funds from the NCE to later business activities. 7 How long does the Investor’s duty to maintain the investment at risk last? In the Policy Manual, USCIS confirmed that the Investor’s duty to redeploy lasts until “2 years from the date the investor obtained conditional permanent residence.” Therefore, once an EB-5 Investor has held CLPR for 2 years, they no longer have a duty to sustain their investment at risk, and their EB-5 investment funds no longer need to be redeployed. 8 May an investor withdraw their investment funds after passing the 2-year anniversary of obtaining their CLPR? The USCIS states that the I-829 adjudication process will examine whether the Investor maintained their funds at risk through to the 2-year anniversary of obtaining their CLPR. The Policy Manual also states that “[a]n Investor does not need to maintain his or her investment beyond the sustainment period” of 2 years after receiving CLPR. Therefore, an Investor may withdraw some or all of their EB-5 investment funds after the second anniversary of receiving their CLPR status, and this withdrawal alone will not cause them to become ineligible for I-829 approval. However, Investors should be aware of one circumstance where maintaining their investment through to I-829 adjudication may be beneficial. If the USCIS raises questions about creation of the required number of job positions during the adjudication of the Investor’s I-829 petition, then an Investor whose funds are still invested, and available to the NCE, could have greater flexibility in further proving job creation with those still-deployed funds. Conversely, an Investor who withdraws their EB-5 investment after the fulfillment of the 2-year sustainment period, but before their I-829 is finally adjudicated, may increase their risk of obstacles in responding to any questions about job creation during the I-829 stage. This information is not intended to constitute legal advice and should not be relied upon in lieu of consultation with I.A. 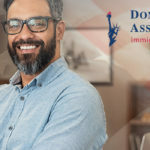 Donoso & Associates immigration attorneys.